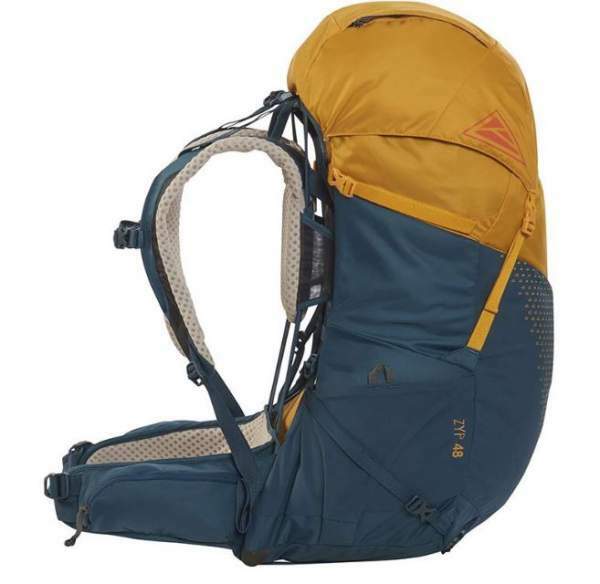 Kelty Zyp 48 Backpack for Men is from a new 2019 series with an adjustable torso length, PerfectFit suspension system, and excellent ventilation. Kelty Zyp 48 Hiking Backpack. As of the moment of writing this text, this backpack is available on Amazon-US, I have not noticed it on their other global stores but this will change, this is a completely new item on the market. I used the words ‘for men’ in the title in order to stress that they build this pack in versions for men and women. They are different in weight, dimensions, colors, and design. 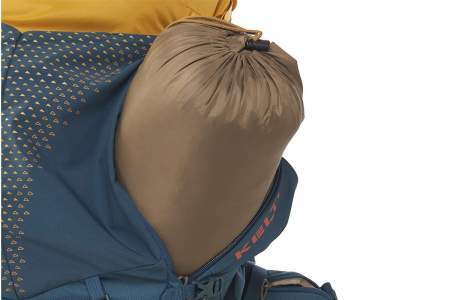 This is a pack from a completely new series which Kelty launched in 2019. It includes the packs of 28, 38, and 48 liters, and this separately for men and for women. So there are in total 6 packs in the series and in several nice color combination. So this Zyp 48 is a top loading pack with a fixed lid and a collar for the top entrance. But it also has a side zippered entrance on the right side of the pack (shown below). This is instead of the bottom entrance which is not available here. The pack is hydration compatible and you have an internal sleeve for a reservoir. This is a lightweight design, with the weight 3 lb 5 oz (1503 g), so to some extent it is similar to their Siro 50 pack which is still lighter. But it is not ultra-light, if you need something of that kind, check this Gregory Optic 48 pack which is only 1.1 kg. The suspension is based on a peripheral steel frame in a configuration which they call the NadaTech Suspension that is designed to minimize the points of contact with your back. So when you look at the backpack from the side, it is indeed completely separated from the body, see the picture below. Side view showing how separated the shoulder harness is from the pack for excellent ventilation. But there are quite large foam sections behind the shoulders which are in contact with the body. Though here you have a very breathable mesh, see below. So this is a nicely ventilated back panel structure. The torso length is adjustable and they call this PerfectFit. You should know that they have been using this in many of their packs in the past 3 – 4 years. This is the most effective adjustment system known to me. The reason for claiming this is because you adjust the harness torso length with the pack on your back and when it is fully loaded. So there is no need to make guesses by taking the pack off and putting it on as you normally have to do with other packs on the market. The NadaTech Suspension system with PerfectFit adjustability. The shoulder harness padding is much better in my view than the hip belt padding which is thin and the stitching is on the side facing the body, see the picture above, but both are with a breathable mesh. There is a tensioned mesh section in between and so this is a well-ventilated system. The harness is with load lifters and with an adjustable sternum strap, so all necessary features are in place. 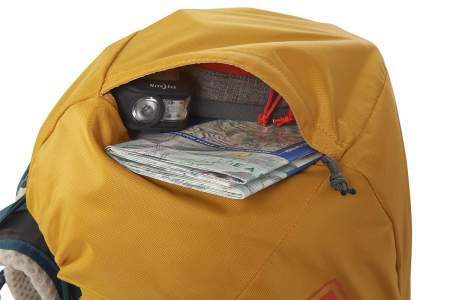 The pack has one zippered pocket on the lid, with the entrance from the side, so something unique again typical for Kelty. On the front, you have dual stretch mesh pockets instead of one large pocket which many packs on the market have. There are two stretch mesh side pockets as well for water bottles or any other item, plus dual zippered hip belt pockets. So this makes it 7 in total. The Zyp 48 comes with the usual dual straps on both sides, so you can use them to cinch the pack or to attach some gear. 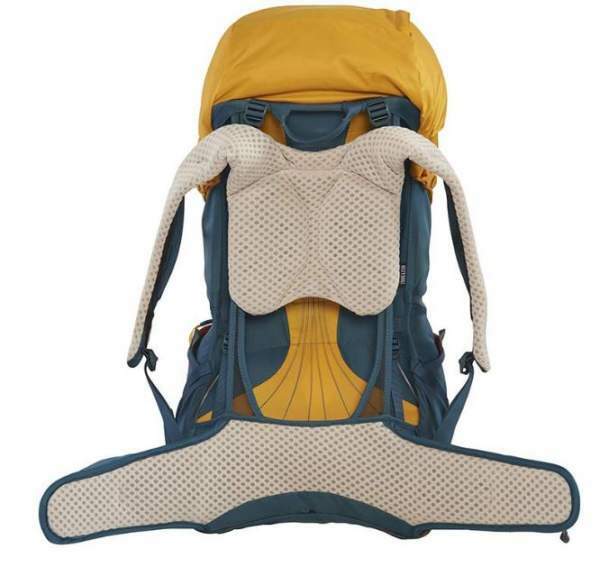 There are dual straps on the bottom as well to attach a pad or a tent. 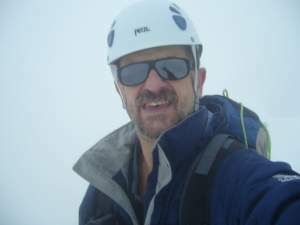 Two attachment loops are on the bottom and paired with bungee tie-offs, for poles or for ice axe, the picture below shows how to use them for poles. Excellent torso size adjustment system. Weight: 3 lb 5 oz (1503 g). Volume: 2929 in³ (48 L). Optimal carry weight capacity: 20 – 40 lb (9 – 18 kg). Torso fit: 16 – 22 in (41 – 56 cm). Dimensions: 29 x 13 x 10 in (74 x 33 x 25 cm). I have decided to show you this Zyp 48 side by side with two packs from Gregory. 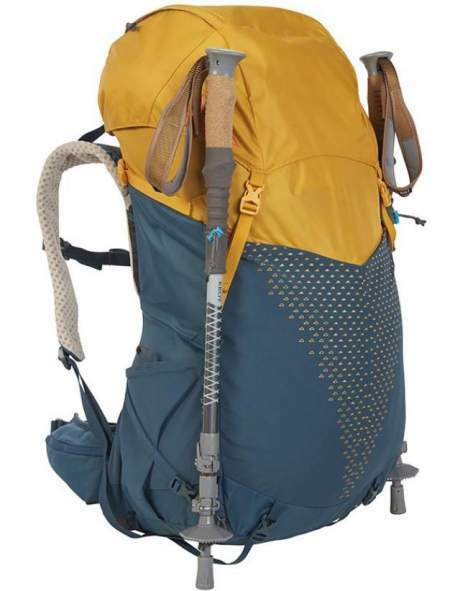 The Optic 48 is an ultra-light pack and the Paragon 48 is in the same weight group as this Kelty’s pack. I give only some basic features, so please follow the links for more. In the summary of this Kelty Zyp 48 Backpack for Men review, I would stress again that this is a nicely ventilated design with a very user-friendly and effective torso adjustment system. I am not particularly impressed with its hip belt, and with the fact that it comes without a rain cover. But the design is very interesting, the price is reasonable and this is a quality backpack as you might expect from Kelty. If you need more options from the same size range, please visit my page with 35 – 55 liters packs. Note that this is not a sponsored text and I am not paid by the brand. Please use the comment box below in the case of questions or comments.